Pictured, Anikqua Williams who was arrested after shooting, love rival, Daneshia Elmore at Easton Town Center, Victoria’s Secret store. 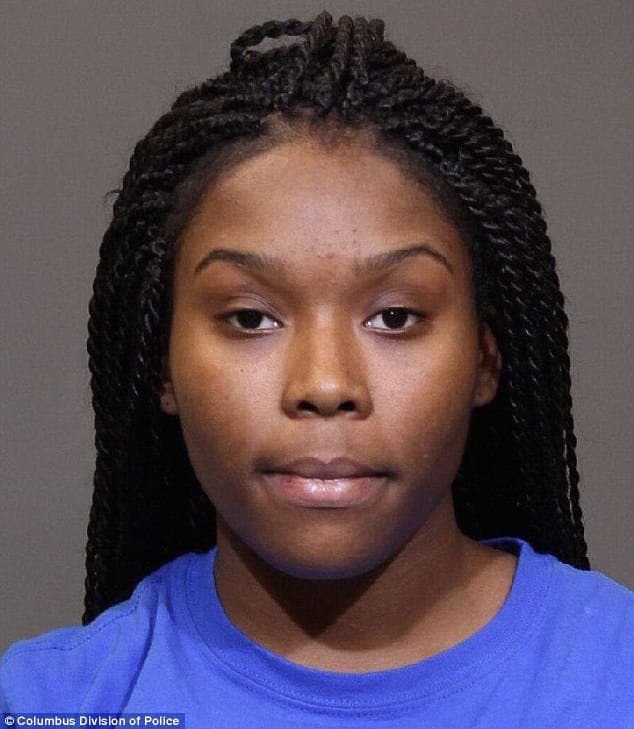 Anikqua Williams is arrested after shooting love rival, Daneshia Elmore after running into the woman at Ohio’s Easton Town Center. How much is the idea of another woman ‘messing’ with your man worth to you? 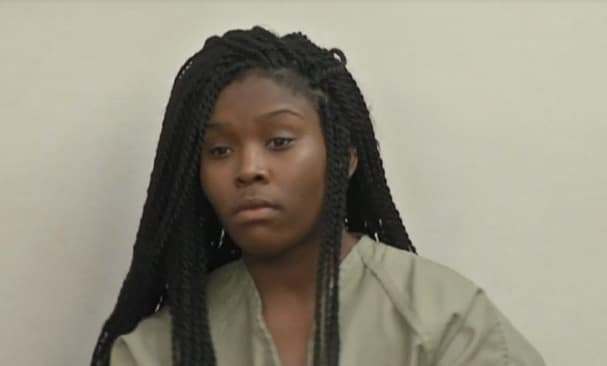 In the case of 22 year old Columbus, Ohio woman, Anikqua Williams, it’s worth enough to have you shot. 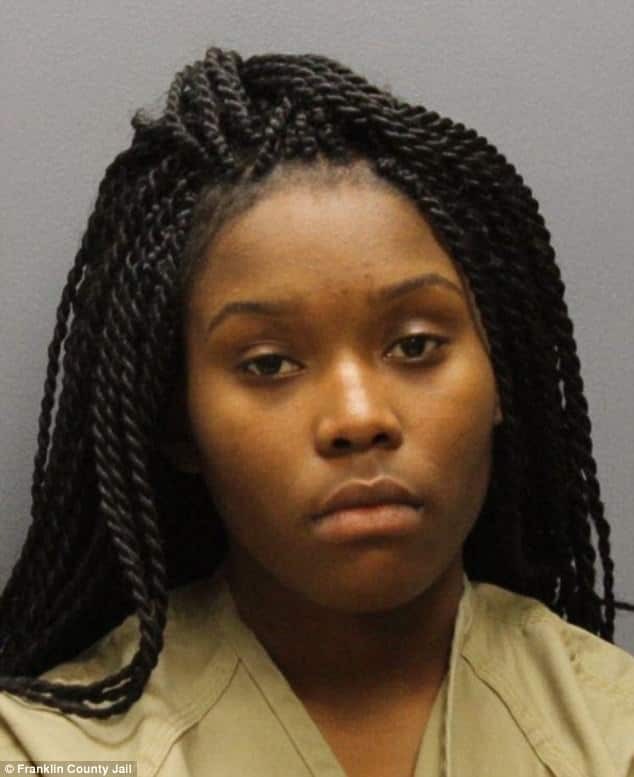 Anikqua A.E Williams is facing felony assault charges after shooting love rival Daneshia Elmore, 23, after the two women became involved in an ‘altercation’ at a Victoria’s Secret PINK store in Easton Town Center. A report via WSYX TV tells of the injured woman being hospitalized and in stable condition with a chest wound. Williams and the victim had ‘bad blood’ between them before they had an unexpected encounter, Deputy Chief Thomas Quinlan told The Columbus Dispatch. The shooting occurred in an upstairs room of the store shortly after 2.00pm at the popular shopping area, which prohibits firearms. Upon arriving at the scene of the shooting, authorities found Elmore, bleeding from the chest, with the shot woman saying she’d been shot during a physical altercation with Williams. The victim had a single gunshot wound to the upper chest and was rushed to Grant Medical Center with non-life threatening injuries, police said. Several witnesses identified Williams as the shooter, with the woman being apprehended within two minutes of the attack thanks to the mall’s security features, which include high tech cameras. ‘They see what’s going on in real time. We have special duty officers out here on duty at all times and you also have pretty large contingent of security,’ explained Deputy Chief Thomas. Williams, herself, told police, ‘I shot her,’ as they approached to take her into custody, according to an affidavit filed Thursday in Franklin County Municipal Court. It is not yet known whether she had a permit to carry the firearm used in the shooting. Reiterated Deputy Chief Thomas, ‘One person is looking at a lengthy jail sentence perhaps. Another, years of recovery. It’s not worth a dispute over whatever had them upset’. Williams was slated at the Franklin County Jail on Thursday. She appeared in court Friday morning. Her next court appearance has been scheduled for April 7 at 9.00am Eastern. Police have asked anyone with additional information regarding this incident to contact Columbus Police Assault Detective Steven Kaethow at 614-645-4740 or Central Ohio Crime Stoppers at 614-461-8477.